CHULA VISTA, Calif. - Men's Eagles Sevens Head Coach Mike Friday has chosen a 13-man travel squad for the seventh and eighth legs of the 2016-17 HSBC World Rugby Sevens Series season in Asia. Americas Rugby Championship champion Mike Te'o and Davenport University graduate Anthony Welmers come into the squad as the only two changes from the team that placed third at HSBC USA Sevens and fourth at HSBC Canada Sevens less than a month ago. Captain Madison Hughes' Eagles moved into sole possession of fifth place in the Series standings heading into Cathay Pacific/HSBC Hong Kong Sevens, which will see them face Argentina, Russia, and Scotland in Pool D. Pool play will commence at Hong Kong Stadium Friday, April 7, with all matches available to viewers in the United States via World Rugby's Sevens Series live stream. "We are happy with our progress and how we are holding ourselves on the pitch and on the circuit as at present, with all the uncontrollables we are currently having to deal with, we are doing well to be in the top five chasing the top four," Friday said. "The boys are working hard and applying ourselves as, ultimately, we were disappointed we did not make both finals and the reason being not dealing with those critical moments when they presented themselves." Though Te'o, 23, has not appeared on the Series in an Eagles jersey since the 2013-14 season, he has been one of the busiest rugby players in the country. Since his last Series action, he has played senior club rugby with Belmont Shore Rugby Football Club and Old Mission Beach Athletic Club across multiple competitions, made the foray into professional rugby, and scored seven tries in 11 international tests for the international XVs squad. He recorded four tries as John Mitchell's team won the second ARC earlier this month, and has continued his sevens training with the developmental Falcons squad. 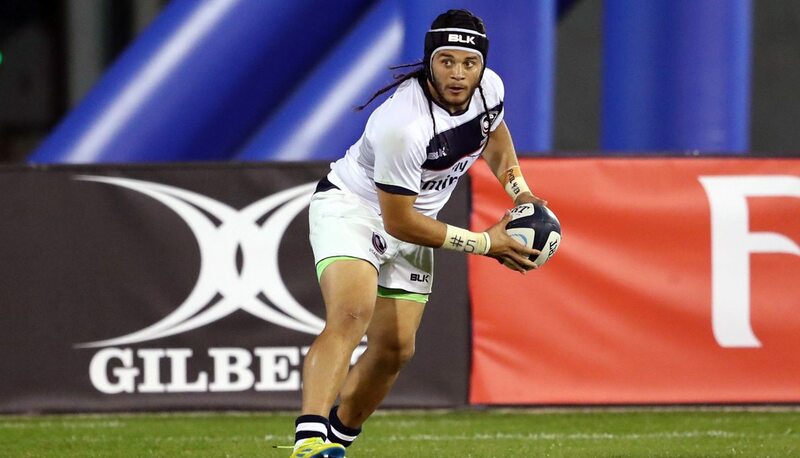 "Mikey Te'o has worked extremely hard on his game these last 12 to 18 months - both at XVs and sevens - and is maturing well as a player who has real x-factor and is learning when and when not to take risks, and be more calculated on when those are or are not needed," Friday said. "He has also worked to improve his defensive game and his one-on-one tackling. We are excited to see Mikey complement the squad." Welmers has also made a name for himself on the sevens scene, touring with the Falcons to South America in 2016 and 2017 in addition to joining Olympian Nate Ebner at Howard Hinton Sevens ahead of the Rio 2016 Olympic Summer Games. Post-Rio, the U.S. Army sergeant was selected as the 13th man in Friday's Eagles for the opening rounds of the current season, making his official debut at HSBC Cape Town Sevens. Coinciding with the team's rise in the rankings, U.S. players have been recognized in tournament Dream Teams for three legs running. Danny Barrett, who will be playing in his 30th career tournament when Hong Kong kicks off, was selected to both the HSBC Sydney7s and Las Vegas best-of lists. Perry Baker, meanwhile, led the Vancouver tournament in points and tries scored with 45 and nine, respectively - capping off the weekend with his 100th career score - and was the Eagles' representative in the Dream Team. Folau Niua was an early candidate for the Dream Team due to his positive ranking in World Rugby's Performance Tracker at Canada Sevens, and has been an instrumental piece to Friday's puzzle for multiple seasons. He will participate in a team-high 47th tournament in Hong Kong (Zack Test owns the U.S. all-time record with 62 appearances). Much like with Ebner's transition to the international level last year, Malon Al-Jiboori will compete in the GFI Hong Kong 10s tournament with Samurai's representative side in the build-up week to the Series leg. The All-American was previously included as the 13th man in Friday's Vegas and Vancouver squads, and will serve the same role until injury necessitates a call-up to the 12. The U.S has finished sixth in each of the past two years in Hong Kong. Seven members of last year's team, including Olympians Martin Iosefo, Ben Pinkelman, and Maka Unufe, return to Hong Kong Stadium this year. The Eagles will kick off pool play with a single match - against Russia - Friday, April 7, before pool action resumes on Day Two of the tournament Saturday, April 8. The seventh leg of the Series can be streamed live in the United States via World Rugby's Sevens Series website.